Have you not been doing your vocal warmups? Shame, shame, shame… Vocal warmups will improve your voice in so many ways. They are unbelievably helpful. If you are having breathing control problems then be sure to do your vocal warmups daily. 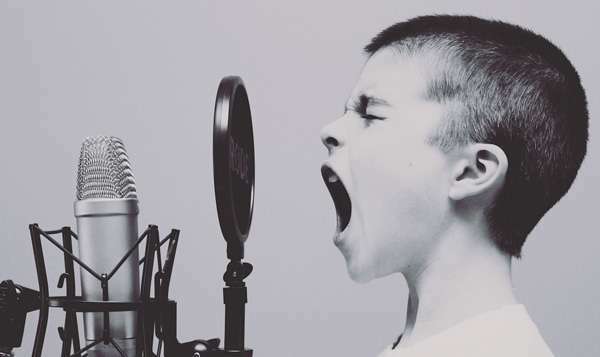 If you start doing your vocal warmups every day and do not notice any improvement in your voice after a few weeks, then you can call us (and every professional singer out there) crazy. Until then, just do it! A problem that can be easily fixed is inhaling incorrectly. You may not realize it, but it is important to take in as much air as you can, whenever you can, while singing. While you are having a conversation with someone at work, you take in small breaths as you pause throughout the conversation. Your body is used to this normal breathing. While singing, you can not breathe in as though you are having a casual conversation with your audience; you need to fuel your voice with air! So you must try to change your breathing habits when you sing. Make sure you take deep breaths when possible. If you are singing a song that has pauses in between phrases, take a deep breath before singing your next line. Too many people try and take small breaths in between phrases in order to reduce the sound of breathing, which in turn sacrifices the wholeness in their voice. Having your audience hear your deep breathing is easily avoidable. You can turn your head to the side, push the microphone away, and just move away from the microphone while taking these breaths. Famous singers do this every time they perform on stage. It is hard to notice because it is easy to cover up. Do not make a big deal out of it or draw attention to these actions; it should look casual and natural. If you are having trouble knowing when to take your breaths, we will help you out. Here is a video of Katy Perry’s song Teenage Dream. It may not be your favorite song to sing along with, but we will use it for the purpose of this example. It is very easy to hear Katy breathe in this song. Press play on the video and we want you to sing along (it should not be taken as a joke, so do your best while singing along to reflect on your actual performances). Below the video there are lyrics, and you will see the word (breathe) in the lyrics. When it says (breathe), we want you to take in a deep breath and continue singing. If you have a microphone (or a TV remote), practice breathing away from it. We do realize that there may be some unneeded breaths. However, some people may breathe more easily than others. If you want to take some out, go ahead. We have put in breaths where we feel they will make those who are struggling more comfortable. Singing Lessons Online or Near me?